The satellites, TÜRKSAT 5A and TÜRKSAT 5B, are based on the latest Electric Orbit Raising (EOR) version of Airbus’ highly reliable Eurostar E3000 platform, which uses electric propulsion for in-orbit raising and station-keeping. 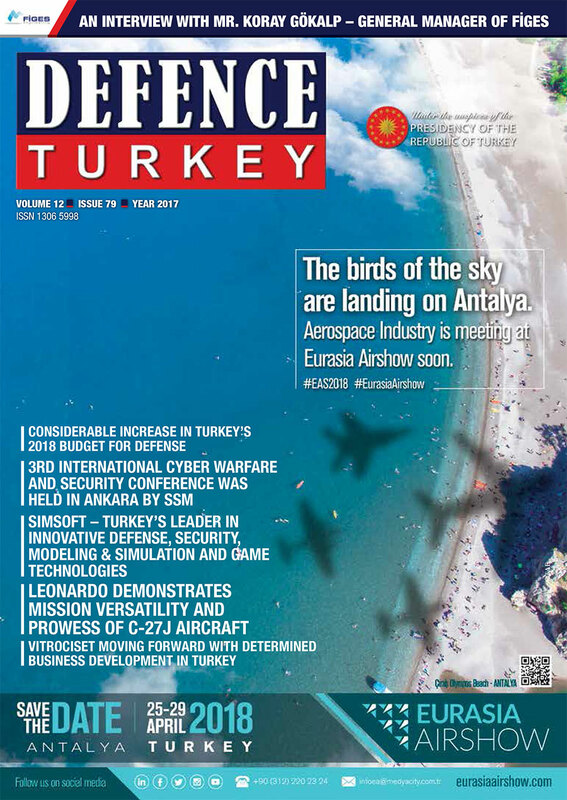 “We are very pleased to welcome TÜRKSAT as a new Eurostar customer for the most powerful satellites of their fleet. We were the first to demonstrate full electric propulsion technology for satellites of this size and capacity, and this will enable the TÜRKSAT spacecraft to be launched in the most cost-efficient manner,” said Mr. Nicolas Chamussy, Head of Space Systems at Airbus. 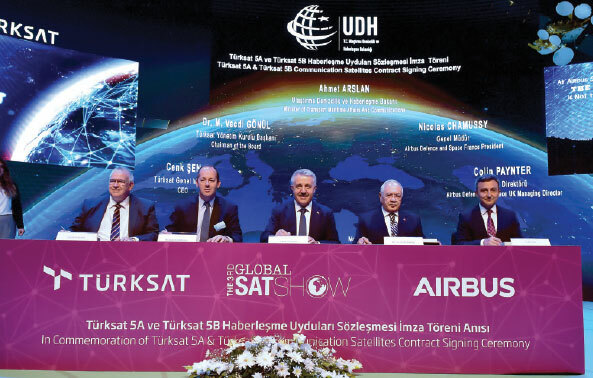 TÜRKSAT 5A is a broadcast satellite which will operate in Ku-band at the 310 East longitude slot in geostationary orbit, covering Turkey, the Middle East, Europe, North Africa and South Africa. The spacecraft will have a launch mass of 3,500 kg and electrical power of 12 kW. It is planned for in-orbit delivery in 2020. TÜRKSAT 5B is a broadband satellite which will operate in Ku- and Ka-bands at the 420 East longitude slot in geostationary orbit. Its HTS (High Throughput Satellite) payload will provide more than 50 Gbps of capacity over a wide coverage including Turkey, the Middle East and large regions of Africa. The spacecraft will have a launch mass of 4,500 kg and electrical power of 15 kW. It is planned for in-orbit delivery in 2021. The satellites will be built by Airbus in its UK and French facilities, with valuable Turkish contribution. Both satellites are planned for a service lifetime largely in excess of 15 years. TÜRKSAT 5A and TÜRKSAT 5B are the 57th and 58th Eurostar E3000 satellites ordered, and the 7th and 8th in the Eurostar E3000e version, which recently completed the fastest electric orbit raising ever from transfer to geostationary orbit.